"Wendell Ferguson is recognized by his peers as one of the top pickers in the country and known best as having one of the quickest wits in the game. A talented and funny guy to say the least." (Country Music News)What do you give an overweight, asthmatic 7-year-old boy for Christmas? Model airplane? Etch-A-Sketch? Erector set? Well lucky for us Wendell Fergusons' folks gave him a guitar. From the first time he heard Chet Atkins' recording of "Mister Sandman" he was hooked, and only one thing ever held his interest...the guitar. He'd already been taking lessons for 3 years when The Beatles came on the scene and he was soon hard at work lifting their licks, along with Ventures, the Stones, Les Paul and of course the aforementioned Mr. Atkins.Fast forward to today. 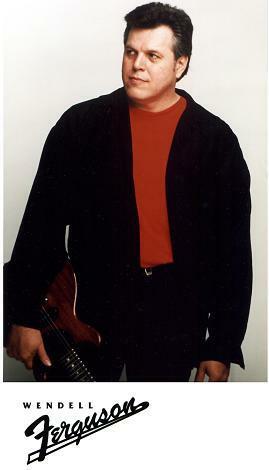 Wendell has won the Canadian Country Music Association's "Guitar Player of the Year" 6 times. Along with 3 more wins for "Back-up Band of the Year," plus a Ontario Country Performer and Fan Association award for "Career Musician". To quote Ferguson "Not bad for a guy who hasn't worked a day in his life".See www.wendellferguson.com for more info.